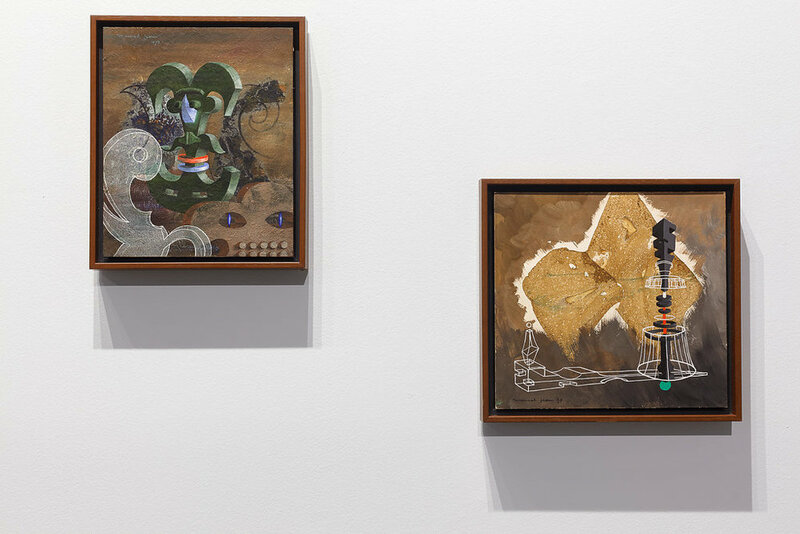 October 21, 2016 — San Francisco — Gallery Wendi Norris is pleased to present Stellar Games, a debut solo exhibition of the distinguished work of Surrealist French artist and scholar Marcel Jean (1900-1993). Stellar Games presents a rare collection of 15 intimate gouache, ink and flottage paintings on masonite and 11 India ink, graphite and gouache drawings on paper produced between the years 1939-1975. 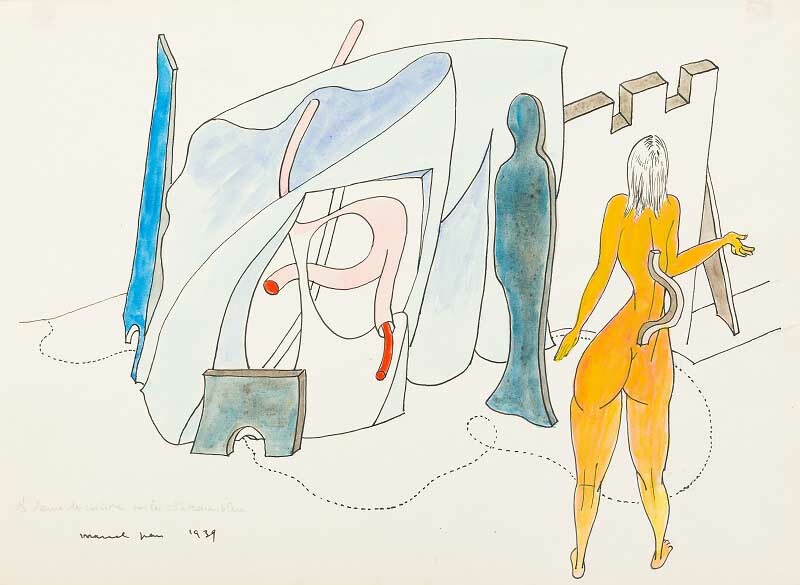 Holding a preeminent position amongst Surrealist scholars and artists, Marcel Jean was an explorer of the psyche and a pioneer of the imagination whose works convey narratives of psychic spaces and transformative landscapes. Objects, landscapes and figures flow between layers of symbolic, sexual and subconscious meaning. The motif of a head, bound, affected or abstracted, which the artist used to great success in his earlier work The Spectre of Gardenia (1936), returns in some of these later paintings, alluding to the way dreams can disrupt the seat of consciousness. Jean’s pioneering use of the flottage technique remains unique amongst artists, and explores chance operation while advancing the Surrealist practice of the automatic painting. These intimate and complex works demonstrate the artist’s inextinguishable creativity in the creation of psychological dreamscapes and the founding of delicate, impossible worlds.